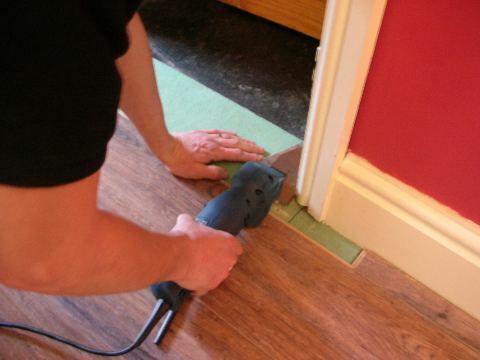 Fitting laminate flooring around door frames is often the bit that makes a floor look unprofessional, but with a little help it is easy to make your floor look like a professional fitted it. It is often easiest if you start to lay the laminate at the door leading into the room, this can be harder if there are several doors! Most rooms in the majority of houses only have a single door and so that is the best place to start. Sometimes we need to cut the bottom off the architrave and other times we need to cut the bottom off the architrave and door casing. This is not easy, but can be much easier if you have the correct tools for the job. Here we are going to cut the bottom off from the architrave. To do this lay a piece of scrap laminate on top of a piece of underlay to get the correct height and then saw through the architrave using an old saw. 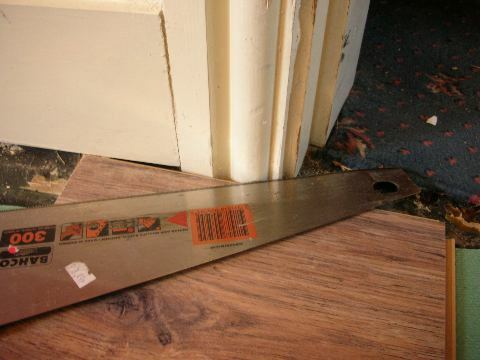 If you need to cut through the door lining as well, be aware that in some older properties the door frames are spiked to the floor using steel spikes. Here you can see that the bottom has been removed from the architrave, now the laminate will slide underneath this and look much neater. Here I am cutting the bottom from the architrave and from the door lining as well. This is the bosch power tennon saw, which makes light work of this job. 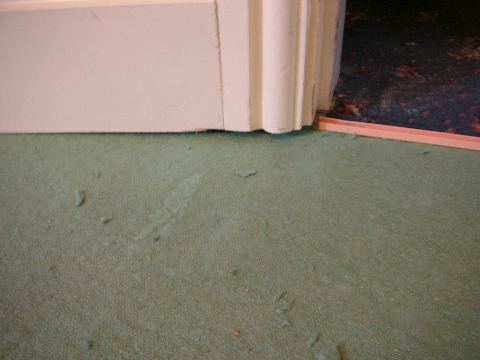 Again I am using a piece of underlay and laminate in order to get the correct height. 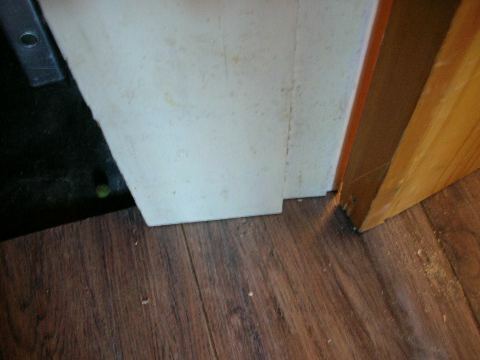 Here you can see that the laminate flooring goes right under the door frame and architrave, this is much neater than trying to bead around these kind of objects.